This weekend is filled with interviews, purchasing stuff for the store, making schedules for trainings and opening, picking interior design elements, dealing with big schedule issues dealing with epoxy floor, planning marketing over the next few weeks, and so much more. The list is endless. It’s also my dad’s birthday and Father’s Day so I’ll definitely have some family time. Originally, I really wanted Yoga-urt to open this weekend for Summer Solstice/Father’s Day. That was the goal but unfortunately, due to circumstances beyond our control, we weren’t able to do it. The universe had other plans. On June 30th, my R&D team and I are going to meet once again at Taylor to run through the process, from scratch. of making 5-6 gallons of our base and one flavor. This is so we can find any kinks in the system, see how long it takes, and try to streamline the process. The only thing we won’t be testing that day is the kettle, so we’ll have to do that in the store. We will then adapt this info as needed for our training manual to prepare for training our soft serve makers. We are building a manufacturing plant after all (I still can’t believe I’m saying that!!!). One very challenging thing right now is that I need to start ordering everything (ingredients, toppings, equipment, etc) but my store is a construction site so nothing can be delivered there, especially until after the epoxy is done and dried. 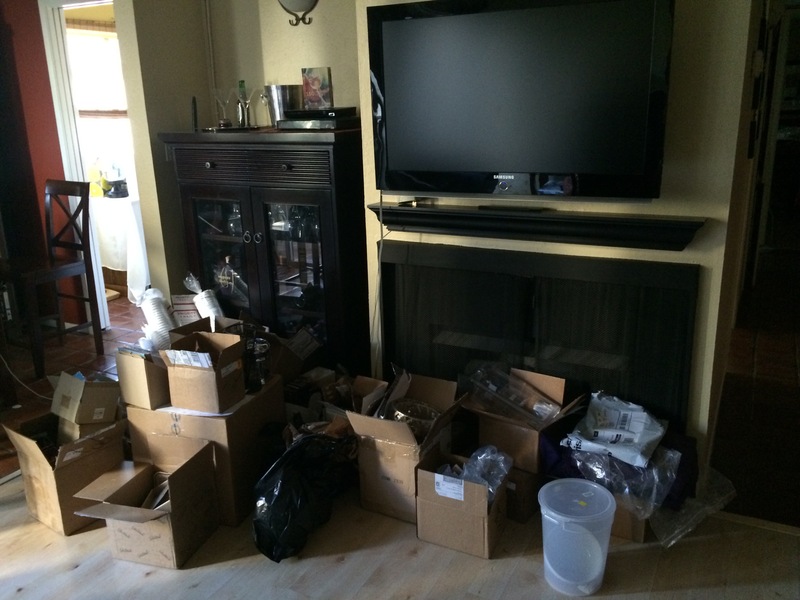 What does that mean, well, it means my condo is getting filled with boxes. 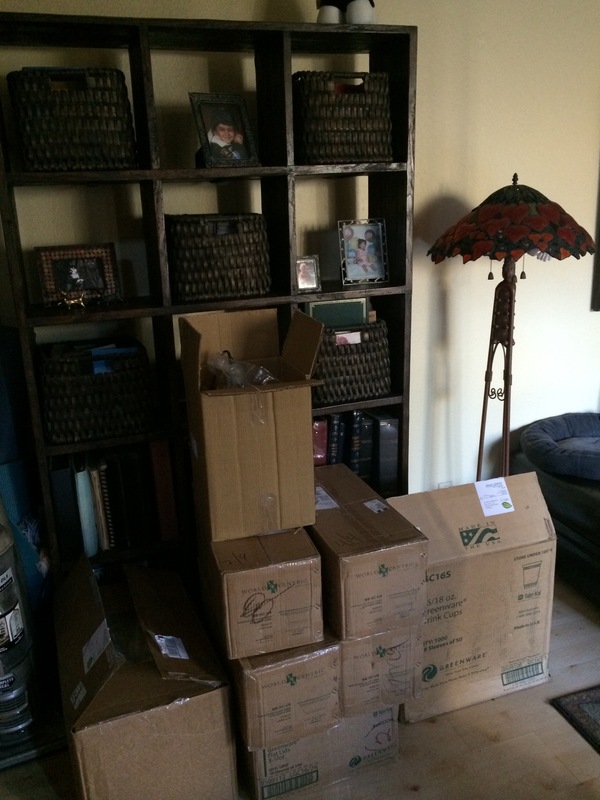 I came home last night to a mountain of boxes at my front door. Crazy! Luckily, I have a large living room with high ceilings. I will need it. It will be so much easier in the future when I can have things delivered directly to the store. I can’t wait for that!!!! Alright, that’s all for now!! !